This beautifully crafted knit is a modern staple that will lend sophistication to any outfit. Crafted from luxurious merino wool, it is exceptionally soft and lightweight while still being excellent at regulating body temperature. 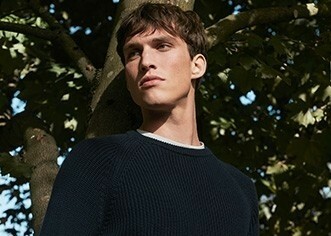 The new 27 gauge wool means this Merino jumper is the perfect option for layering all year round. Wear over a crew neck T-Shirt and with jeans for a smart weekend look or pair with a tailored trouser for effortless working-week style. 36" 38" 40" 42" 44" 46"